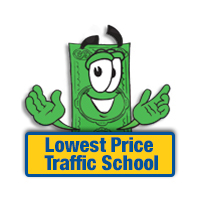 At LowestPriceTrafficSchool.com we're happy to provide Florida traffic school to drivers with a FAST & EASY Traffic Ticket Dismissal Course. Whether you choose our 4-Hour BDI (Basic Driver Improvement or Traffic School) course, our 8-Hour judge ordered course or our 12-Hour ADI (Advanced Driver Improvement) course, they can all be completed 100% online in the comfort of your own home or office! If you've received a traffic ticket and want to keep the points off your record or if you were court ordered to take a basic driver improvement course (traffic school) due to a traffic ticket or any other reason, you've come to the right place! We offer an online 4-hour BDI course perfect for fulfilling your Florida traffic school requirements. Plus, it's the SHORTEST COURSE approved by Florida law! If a Florida judge or court has ordered you to take an 8-hour Driver Improvement course because you have received a second traffic ticket in 12 months or for any other reason, this is the right course for you. 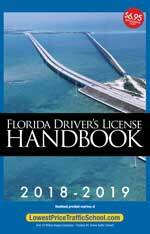 If you've had your Florida driver's license suspended due to excessive point or any other reason, you may be ordered to take the 12-hour Advanced Driver Improvement course from a State-Approved Florida traffic school. Whether you're a habitual traffic offender or you've been ordered by the court to take the 12-hour course for another reason, you've come to the right place. At LowestPriceTrafficSchool.com, we provide Florida's leading 100% online traffic school. Our driving school is approved in all 67 Florida counties by the Florida Department of Highway Safety & Motor Vehicles (DHSMV, also know as the DMV). Below you will find an easy-to-use Florida Traffic School Directory. Just click the links and you will find helpful information about the different Florida traffic school courses and how to deal with traffic tickets in your specific city.